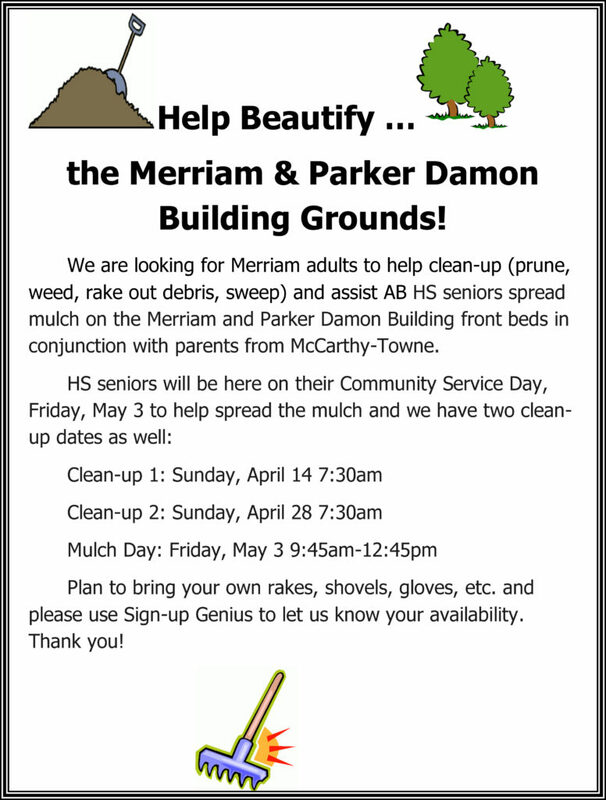 Plan to bring your own rakes, shovels, gloves, etc. and please use Sign-up Genius to let us know your availability. Thank you! Contact Kathleen (kzawicki@abschools.org) with questions!